Image from a video of ISIS destroying ancient artifacts at Mosul museum. Here is an interesting blog from The New Oxonian, by R. Joseph Hoffman: Killing History: The ISIS War on Civilization. I had the opportunity this past weekend to visit the world heritage site: The Great Serpent Mound in Adams County, Ohio. Given how famous the mound is within my readings, I’m surprised that I haven’t gone sooner. Along the way, I stopped at a couple of locations from my Mysterious Ohio wall map, which included a visit with a fascinating curator of fossils and stones. Serpent Mound is the worlds largest snake effigy and is at least 1000 years old—perhaps even older. It was surrounded by burial mounds, though the snake structure itself contains/contained no artifacts. It is a mound of turf about three feet tall and over 100 feet long. Its full shape can only be appreciated from the air. At ground level, the coils of the serpent rise at both ends following the contours of the land. From the middle the serpent appears to be a series of terraces on the left and right. Its tail is a tight spiral that can be appreciated from ground level while the head forms an oval depression. It is thought that burnt offerings were offered in the middle of the head. The serpent’s head points to the setting point of the Sun on the summer solstice. A line between the tip of the tail and head points directly north and the coils line up with several other solar and lunar events during the year. The tip of the tail provides a good platform for viewing the various equinox and solstice events, especial the winter solstice. The head is located on a promontory and the rest of the serpent follows a cliff along the path of a couple of intersecting creeks. The head, which many interpret to be a snake swallowing an egg, may symbolize a world serpent swallowing the dying sun (the common mythological interpretation of the shortening of days after the summer solstice). While the tail might have been imagined to be the place it was reborn during winter solstice. Like the sun, the spirits of the dead may have been imagined to be swallowed and born again. Two trees suggest a gateway along the modern path around the Serpent. Travelers to Serpent Mound might also be interested in visiting a rather old cemetery, Locust Grove Cemetery, located along the road to the site. Another stop along the way is the historic Wickham Inn, which looks to be a private residence, and is rumored to be haunted. My trip ended at a very interesting shop. Before the turn-off road that leads to the Serpent Mound site, there is a fossil and mineral shop called House of Phacops. A phacop is a trilobite, an arthropod that has been extinct for hundreds of millions of years. 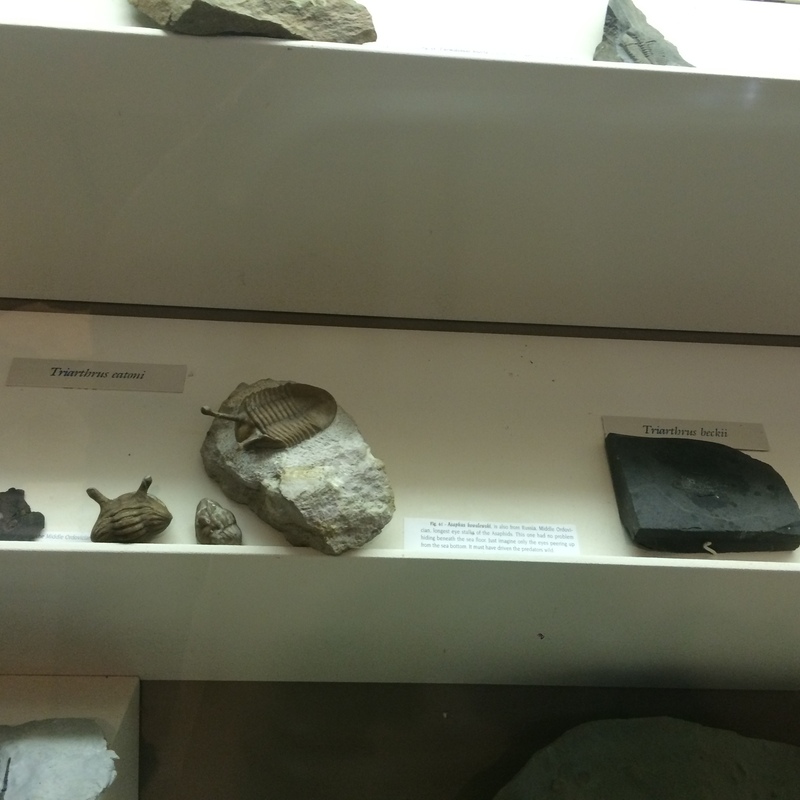 The shop has a great collection of trilobits and offers fossils and minerals for sale—many are local. The shop appears to be a destination for New Agers as well, and some space within is dedicated to mystical speculation on the Serpent Mound, alongside news articles about crop circles that have mysteriously appeared on nearby farms. The visit was a powerful experience for me—to walk in the paths of people who created such a majestic structure. The Serpent Mound is more than a monument, it’s a device for sending souls to the next life, either here or beyond. Its power, I feel, is still active—alive, if one lets themselves be open to its spirit. For me it was more than a visit to some famous “thing,” like the Empire State Building or worlds biggest ball of yarn. It was a pilgrimage.